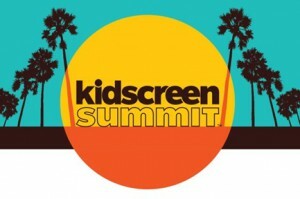 The Kidscreen Summit took place in the new location of Miami, Florida from 23 to 26 February 2015. In 2014, Kidscreen welcomed more than 1,600 attendees from 47 countries around the world. This year’s event continued to offer participants an unparalleled opportunity to keep abreast of important issues and trends in the fast-moving international kids entertainment industry, generate business and revenue opportunities, and network with leading decision-makers. iKids 2015 is Kidscreen’s digital conference and featured a refreshed conference programme built around shorter TED-style presentations that were selected to explore how the latest intersections between mobile, social and web content are transforming the kids entertainment landscape. The fee for the UK@Kidscreen delegation was £395 + VAT. The opportunity to purchase a meeting table within the UK@Kidscreen space but exclusively for your company’s use. Cost £2,100+VAT. The UK@Kidscreen delegation is supported by UKTI and organised by the CMC.